With Regards to Taylor Swift and Ryan Adams, What Makes a Good Classical Cover? “How many psychiatrists does it take to change a light bulb?” starts a worn out joke that author and journalist Norman Lebrecht compared to the future of the classical music industry. “Well first, the light bulb has to want to change,” he told the audience at the Peabody Institute earlier this week. Lebrecht has been a long-time commentator on classical music as a newspaper columnist, author of several books and now at his website Slipped Disc. He was in Baltimore for the Peabody Dean’s Symposium, which brings a series of guests for a conversation with Dean Fred Bronstein to continue a panel discussion hosted last fall on the future of classical music. Lebrecht said he has earned himself a reputation as a “Jeremiah” of sorts, comparing his commentary on and for the industry to a man on the street corner, wearing a sandwich board shouting the end is near unless those who hear him change their ways. For Lebrecht, the end he once foretold has come, models have been disrupted, and yet he is optimistic about what he calls the regeneration of the industry. “I am an awful lot more optimistic about the future of classical music than I was when I [last came to Baltimore] 30 years ago,” he said. When he was in town three decades ago, Lebrecht was at a conference of classical music critics. By his estimation, there were 70 to 80 salaried, mostly American classical critics at that conference. Today, he said there are roughly five salaried critics nationwide. The comparison between journalism and classical music is interesting not only because they are two industries that Lebrecht knows well, but because if there is any field that has devoted more time and column inches than classical music to discussing and thinking about its own (often overstated) demise, it is journalism. In both cases, the universities that train students for that field have started saying they don’t know exactly what the future will be that they are sending graduates into. Peabody Dean Fred Bronstein said this was his motivation for these types of forums because, as he said to Lebrecht, music conservatories often train students for a landscape that existed when their teachers were coming up. For both journalism and classical music, large institutions be they newspapers or symphony orchestras have struggled with disrupted business models, but a number of smaller organizations have risen up during that period, which is something Lebrecht expects to continue. "I think we’ll see a crumbling of institutions and a growth of smaller much more diverse organizations, ensembles, ways of performance, ways of reaching an audience, and personalized or collective solutions," Lebrecht said. That future, he said, requires musicians to have entrepreneurship and embrace a “portfolio life” rather than just aiming for a single orchestra position they hold for 50 years. So while the end he saw 30 years ago has come and gone, leaving old status quos up in the air, Lebrecht said there is a great opportunity for classical music as a whole to reconsider and rejuvenate itself. But that — like with that psychiatrists light bulb joke — requires a desire to change. “How many signs do you see … that classical music wants to change? It doesn’t,” Lebrecht said. “They’re in fear. They’ve seen their world collapse. They’ve seen their audience disappear or grow old. They’ve seen their certainties vanish, which is the most painful thing of all. Lebrecht said there are so many opportunities for classical music with new technology, but attitudes need to change. Much like the BBC Proms concerts broke the mold of traditional symphony experiences by allowing audiences to walk along the promenade during the show enjoying ice cream, he said modern symphonies should set up social media zones in the hall where audience members can Tweet or share their experience with the outside world. 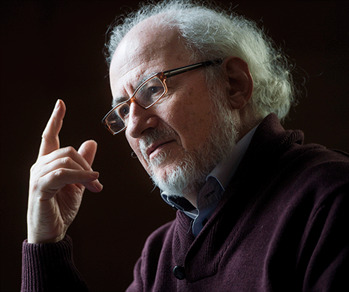 Bronstein said that he remembers having conversations in orchestras 20 to 25 years ago where there was a deep held sentiment that if the orchestra focuses on anything but presenting the music at a high level, the excellence they sought would be compromised. Lebrecht agreed that this narrative was a false choice, and he said orchestras and classical music organizations in general needed to rethink every aspect of what they do rather than holding onto tradition for the sake of it. Watch the entire conversation between Fred Bronstein and Norman Lebrecht here .